Similar contacts – contacts, that have some matching information (name, number, etc. ), as well as some different information. On the left side of the main area, please click on the similar contacts to check/uncheck. Click on the name to see more information. 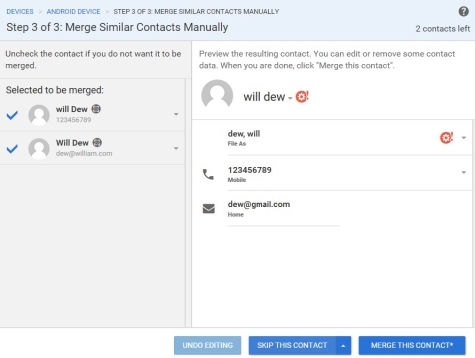 On the right side of the main area, you see what contacts look like after merging. You can delete any info you want. You can “UNDO EDITING” by clicking the button bellow. 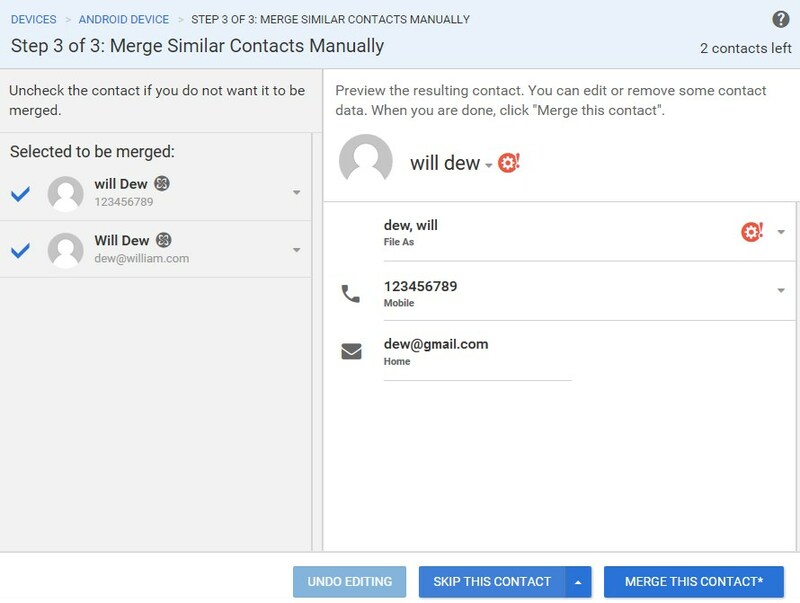 You need to review all similar contacts manually, by clicking the SKIP or MERGE buttons. You can also skip the whole step.